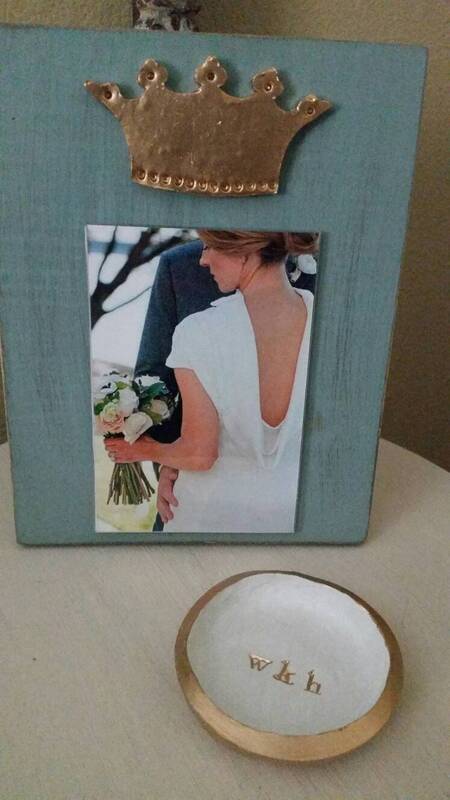 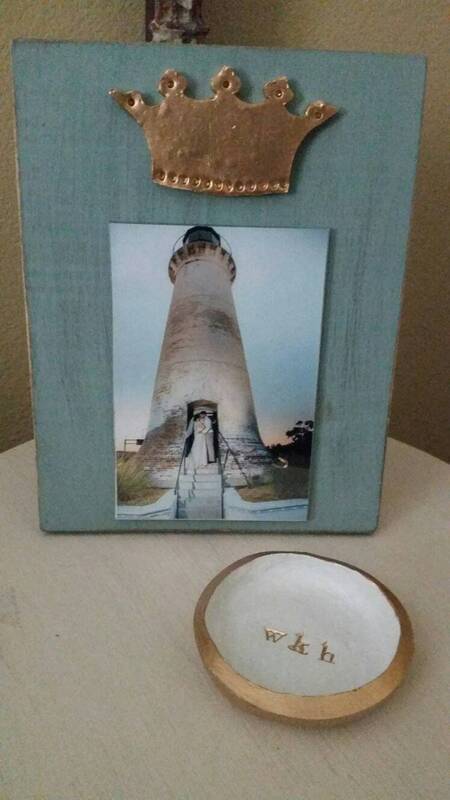 Handmade Wood Frame 4x6 Photo Painted Duck Egg Blue Distressed With A Gold Leaf Clay Crown - Wedding - Baby - Baptism - House Warming Gift. 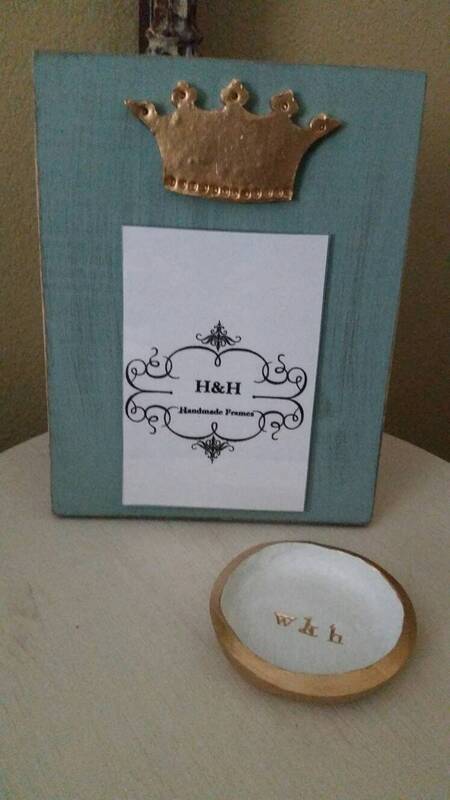 Colors - choose from Painted Annie Sloan Duck Egg Blue with a distressed finish and a Gold Leaf Handmade Clay Crown at the top. 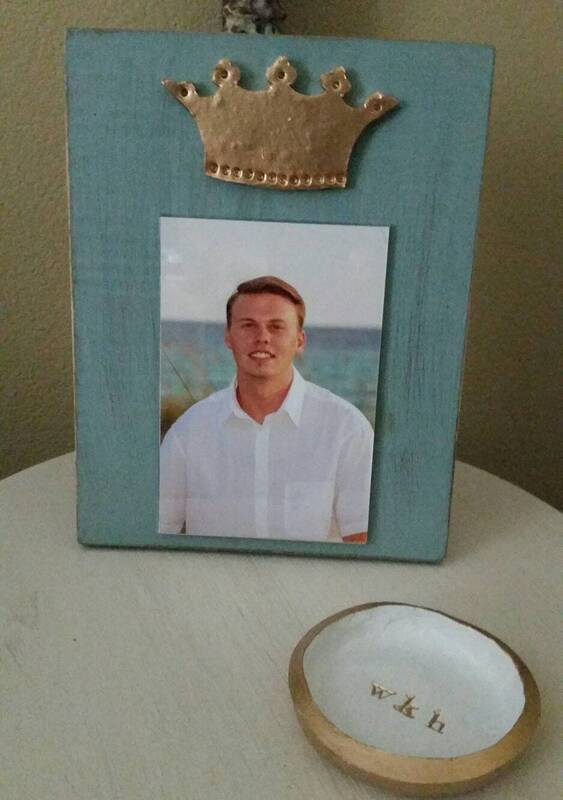 The frame comes to you ready to hang or sit in your favorite.